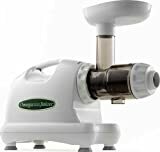 Very slow 60RPM speed juicer provides healthy juice, which can be stored for much longer, saving you lots of time. Juicing hard ingredients, such as coconuts, sugarcane or whole grains, will damage the unit. You will need to give the motor a break after 10 minutes of continuous running. 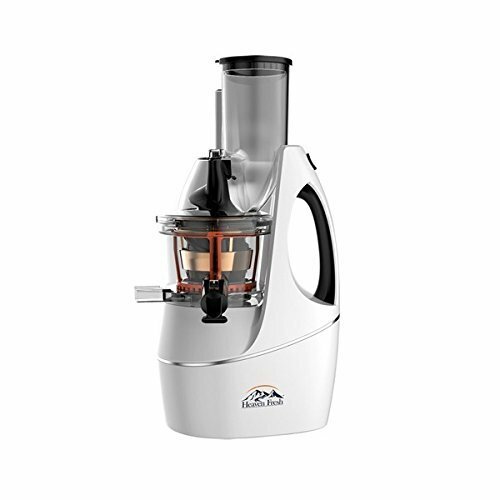 The Heaven Fresh Single Gear Masticating Juicer HF 3014, also referred to as a cold press masticating juicer, may seem quite expensive but is worth it, after considering its features. 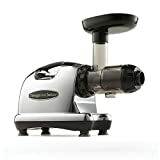 One of the best masticating juicers on the market features a large 3” feeding chute. It produces healthy juice because oxidation is reduced, as it operates on a very low 60RPM. The materials for the design are well selected to produce a strong and durable juicer, which produces high-quality juice. 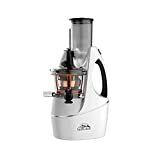 With this Heaven Fresh Masticating Juicer, you can easily juice hard apples, carrots, and other hard veggies, and it doesn’t take up a lot of space in the kitchen – the size of 10.6 x 15 x 7.9 inches, and weight of 90.2 pounds, makes it stable while juicing. A masticating juicer may seem quite expensive but is worth it, after considering its features.